Please select the state or province you wish to be tested on. Please note that quizzes for all states and provinces are not available. Select a state or province from the list above. 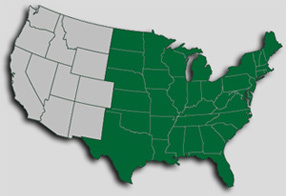 The image below displays in green the states for which quizzes exist.